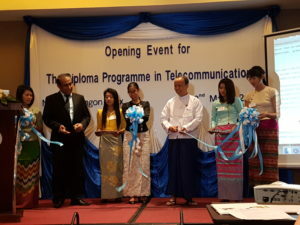 The three-year capacity building project run by the University of Oulu in Finland aims at improving the level of higher education and knowledge in Telecommunication engineering in Myanmar thereby supporting the growth of the national Telecommunication sector, narrowing the digital divide and alleviating poverty in the region. 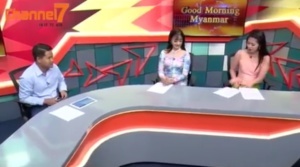 Recent developments show that the Telecommunication sector in Myanmar has been expanding exponentially leading to an urgent demand for qualified professionals. As a first step towards answering this urgent need, the Telecom for YTU Project establishes a Diploma Programme in Telecommunication engineering. 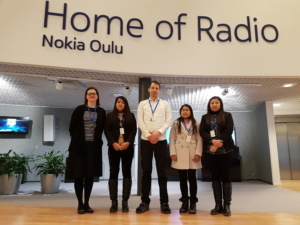 The core elements of the Diploma Programme include courses on Mobile communication systems and theory as well as those on more industry relevant network planning aspects including core and radio network planning. The next step in larger capacity building will be the establishment of a Bachelor Programme in Telecommunication in December 2018.